But these two are rockin it. They actually like what they're wearing. Either that or the photographer, Leo Patrone, is a genius. Awwwwww! Love. 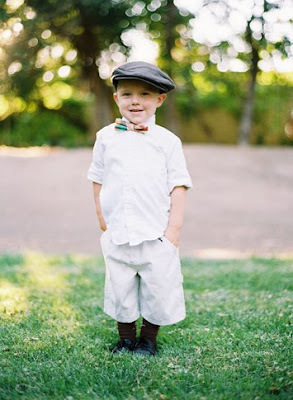 I'm so bummed we have no tiny wee ones to dress up. OMG. 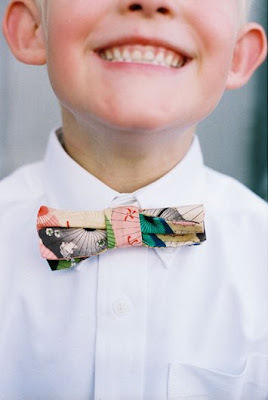 those little boys are so cute and the bow ties are fabulous! Those are some very cool dudes! how i wish i was given the option to not dress anyone in tuxes!! Dubbs you gave em Optimus. You know I didn't mean you. Oh yum! I always feel so sorry for those pauvres in suits and tuxes; it's just MEAN. 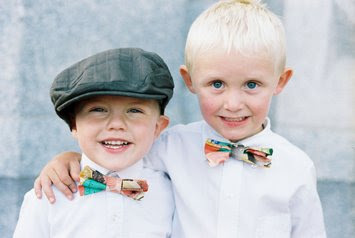 THESE boys are dapper AND happy. oh my goodness ... how freaking adorable. Kids dressed as adults are wrong. Plain wrong. These guys are kind of cute though. can I tell you something dorky? wondering where to get a custom brocade suit? wait, facial hair indicates bad economy? I'm calling it. Mustaches are over. Brad Pitt brings back the mustache?